Ausma Zehanat Khan’s home office in Denver, Colorado, looks out toward the Rocky Mountains. 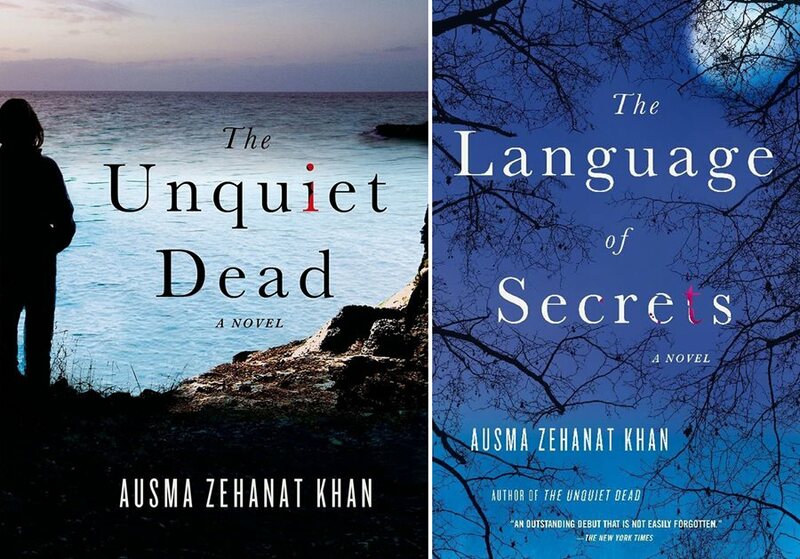 It’s a tranquil setting compared to the Community Policing Section of metropolitan Toronto law enforcement, scene of her two acclaimed debut mysteries: The Unquiet Dead, published in 2015 by Minotaur Books, and The Language of Secrets, published in February by St. Martin’s Griffin. Although Khan is newly published as a novelist, a black ﬁling cabinet in her ofﬁce overﬂows with poems, short stories, plays, musicals, journals, ﬁrst drafts and even some abandoned novels she began writing from the time she was growing up in Toronto, Canada. “My family has always loved art and literature and especially poetry,” explains Khan, whose parents were raised in Pakistan. “I think I love writing because my parents taught me to venerate the written word. If that’s your goal, then why crime novels? I’m a lifelong fan of the mystery genre, and the crime novel is the form most suited to the stories I want to tell. It gives me the ability to let my characters grow over the course of several books. I use that form to explore stories about history, culture, art, politics, religion and the places where all these things intersect. I’m very comfortable with mystery storytelling as a narrative structure, and I ﬁnd it engages the reader quickly. In The Unquiet Dead, I’m able to tell a story about the genocide in Bosnia even though it’s framed as a murder mystery in Canada. And in The Language of Secrets, I’m writing about a terror plot in Toronto but also about the beauty of Arabic, Urdu and English poetry. In both of your novels, you use a conventional “whodunit” plot structure—a mysterious death investigated by a detective and his partner. But neither book is simple or generic. What’s really going on? I use that conventional form to explore two central themes in my books: the notion of identity—what it’s constructed of, what it means to us, how we are deﬁned by or constrained by it—and the notion of justice. I believe justice is a complex notion. It takes many different forms, which you see as you work your way to the end of both of my books. Esa is a man who is very connected to his Muslim heritage and who believes in the strength of multiculturalism. He is comfortable in his own skin even though he usually exists in a place of tension as a police ofﬁcer who sometimes has to investigate his own community. I’ve written him as a character who is reserved and thoughtful. There is some of me in Esa. He has my family roots and Canadian roots in common, and he is comfortable in that multicultural environment and in moving among different communities, as am I. What I wanted to suggest in Esa is that he is open to the world and that’s something he cherishes in other people. This reﬂects my sense that we need to educate ourselves about a wide variety of cultures, languages, histories and traditions and understand that our own experience is not deﬁnitive; it’s simply one of many. How about his partner, Rachel Getty? In telling a great story, you need to be able to connect to the characters and humanize them. The books are deﬁnitely about Esa and Rachel. I knew that I needed a foil for Esa, someone completely different but who still has core values in common with him. They stand for themselves, but they also stand for themes that I want to explore, such as identity, alienation and belonging. With Rachel and Esa helping, it shows that we all hold certain things in common, and that we can actually bridge existing divides. The Unquiet Dead has excellent reviews from both the media and readers. What do you think generated this response? I’ve heard that readers love Esa and Rachel as a set of characters. They love each of them for what they stand for, but they also love the dynamics between the two, and they like many of the secondary characters. I also hear from survivors [of the Bosnian war] that they feel their experience has been accurately represented. That means a great deal to me. Before you wrote your novels, you were the editor of Muslim Girl, a Toronto-based magazine for young women. Tell us about that experience. I was hired by the publishing company in 2006 to shape a vision for the magazine that was about reclaiming a voice for Muslim women and girls and allowing them to tell their own stories. This was really important to me because as a Muslim woman I have experienced feeling marginalized and spoken for or spoken to and really resenting that. I wanted to correct that portrayal and add dimension to the conversation. I spent three years there, and it was wonderful how much I learned about the diversity of these [Muslim] communities. Those girls inspired me. What’s in store for your readers next? I am working on two more books in the Esa Khattak-Rachel Getty series. We mystery writers try to keep our characters going for as long as humanly possible! I’d also like my readers to understand the things we hold in common and to appreciate that there is a heritage and history of beauty that is inspiring and life-afﬁrming to my central characters in particular. A better world requires all of us to be kinder and better informed. That’s what I struggle with myself, and that’s what I try to put into these books. One review described your books using the phrase “the intersection of human suffering and human decency.” Can you elaborate on that? I’ve spent much of my professional life reading, teaching and writing about human rights and the ongoing crimes that take place in the world. That means I am keenly attuned to underrepresented stories of suffering and also to the lifelong impact of violence. That’s a grim place to spend your time and your intellectual life, and it can often seem hopeless. But what I’ve found is that it’s never hopeless. In the face of horror and senselessness, I am always able to ﬁnd that impulse for decency. And that’s the most beautiful thing in the world to write about. 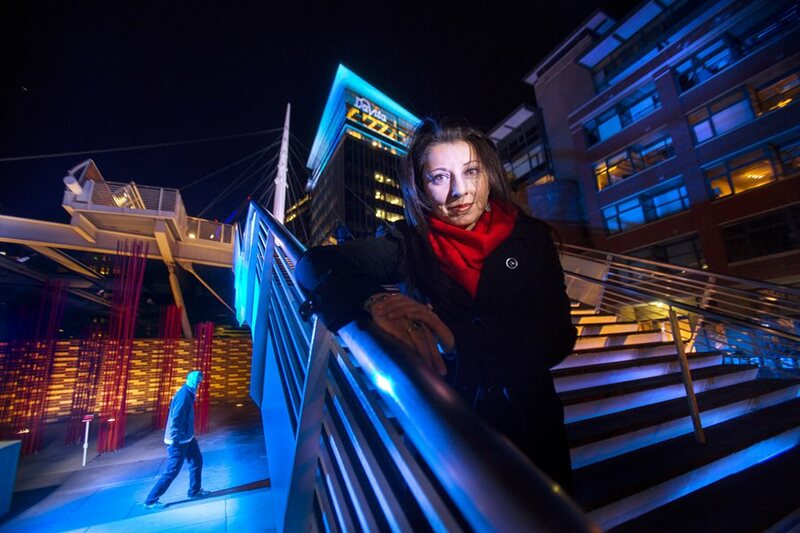 Bear Gutierrez is a Pulitzer Prize-winning photo- journalist and commercial photographer based in Denver. After 10 years on staff at the Rocky Mountain News, he is now also a frequent volunteer mentor for aspiring journalists.